Happy Thanksgiving! 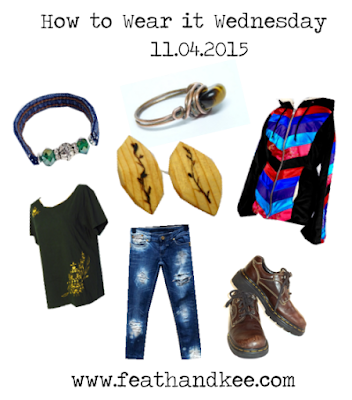 I love the pops of color in this week's outfit. Each of these pieces could be mixed into your wardrobe with ease. 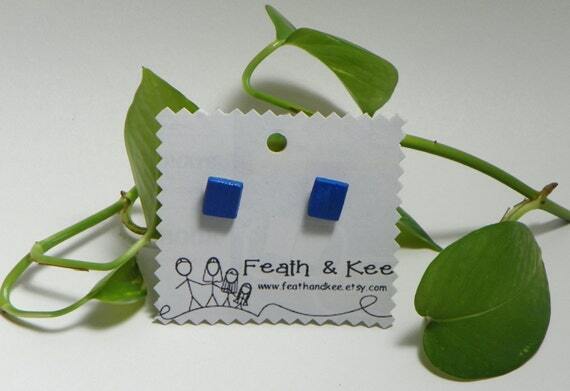 Newly listed in our shop, this pair of blue earrings are made from recycled pine. They are light weight, and at 10 x 10 mm, they are not too large, not too small. 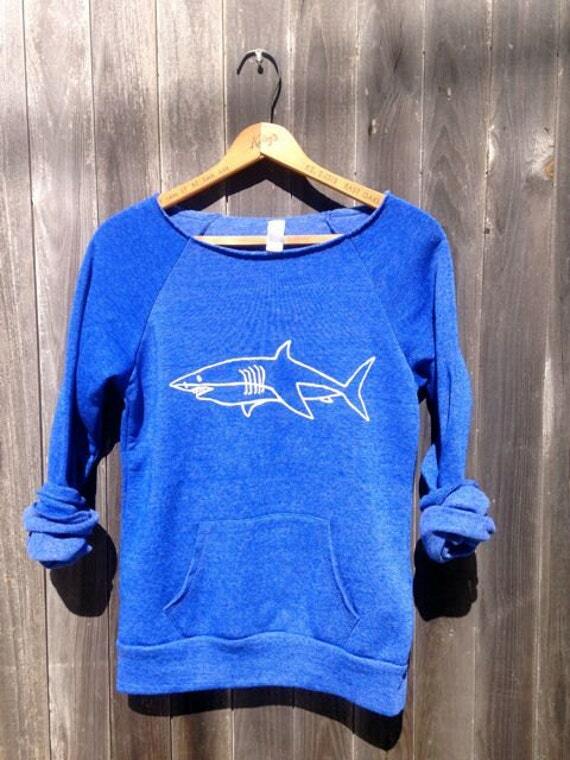 "Swimming in the Deep End" This sweatshirt from Nicola and the Newfoundlander is handprinted on a soft, eco-friendly fabric. 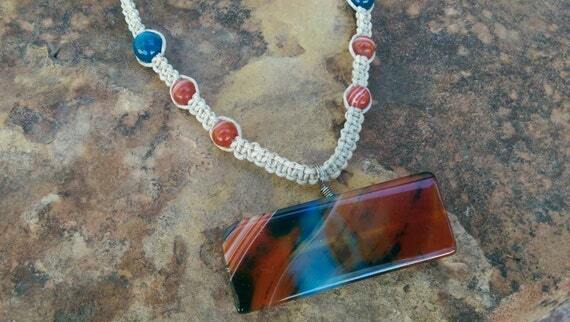 The colors of this Madagascar Agate necklace from Creative Earth Jeweler are so pretty! They make me think of a surreal sunset or perhaps sunrise. 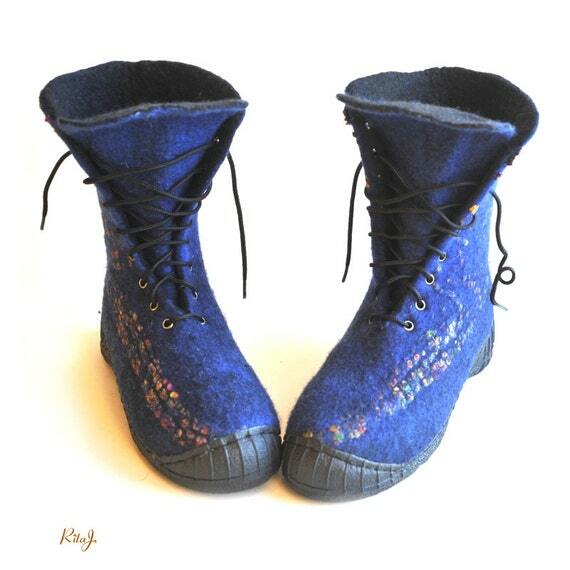 Lightweight and durable, the wool from these custom boots is felted from super soft merino wool. Place your order at RitaJFelt. 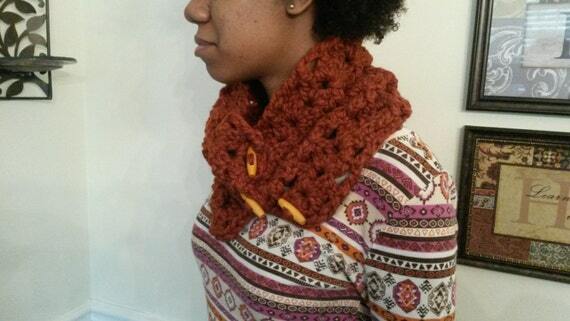 This neckwarmer from Lovely Knots Boutique will keep you warm with a touch of seasonal color. Made from recycled wool and cashmere, this upcycled skirt from LadyMadelineClothing is warm and colorful. 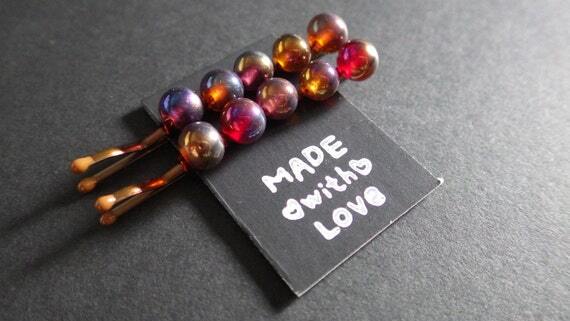 I love the different shades of the glass beads on this pair of bobby pins from CassieVision! That's it for this week! If you are traveling, be safe! 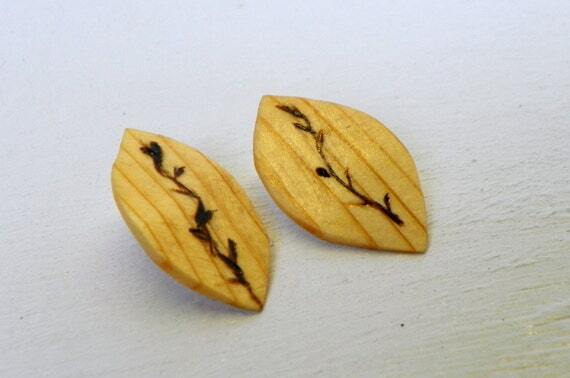 These earrings are made from scraps of pine. They were shaped and painted a lovely primary blue. I sealed this with a coat of clear acrylic for durability. 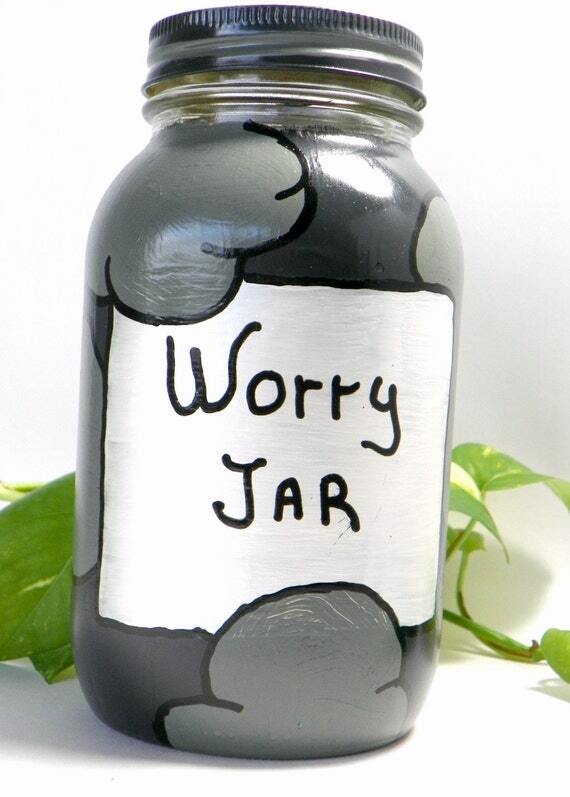 "Worry Jar" , and "Worry Jar #2" are very similar. They do have some differences, but I used the same paints. The idea behind them is really very simple. 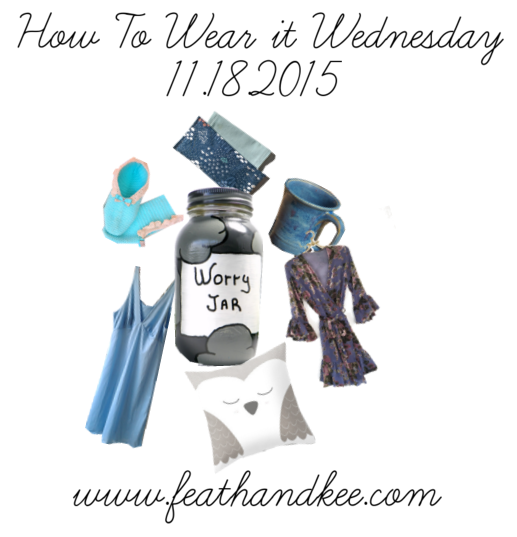 Instead of carrying your worries around with you, write them down and place them in the jar. Hopefully this will lighten your burden! 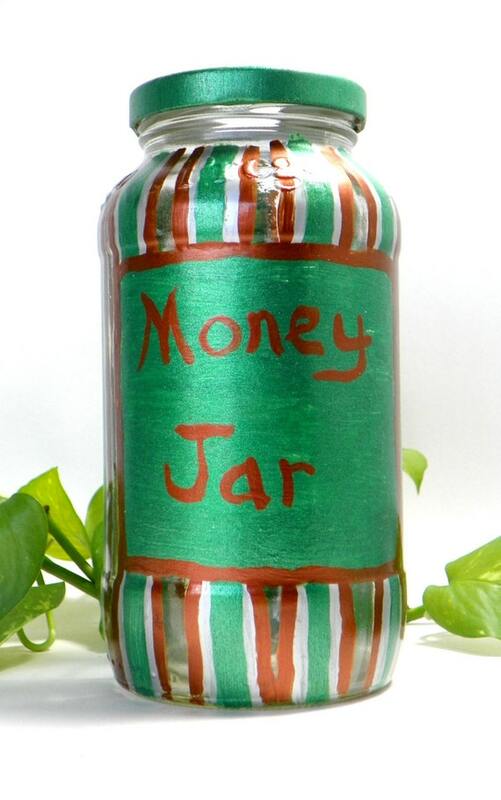 Inspired by the colors of money, this money jar was painted with metallic acrylics and sealed with clear acrylic. Sanded and shaped by hand, each earring in this pair is a bit different. The bright yellow paint can add a little bit of cheer on a dreary Winter day. 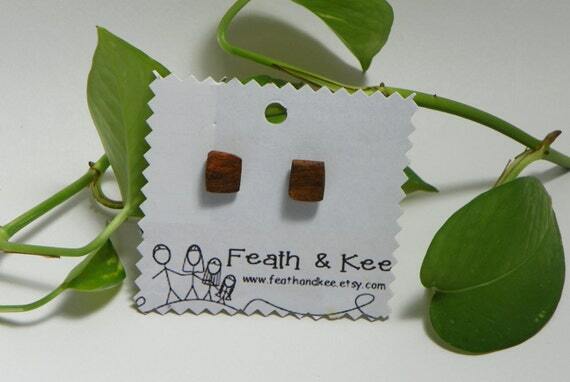 I love the gorgeous earth tones of these earrings. They are made from a native Texas tree root. I am not sure of the species, but just finished these with linseed oil. I feel like their beauty speaks for itself. 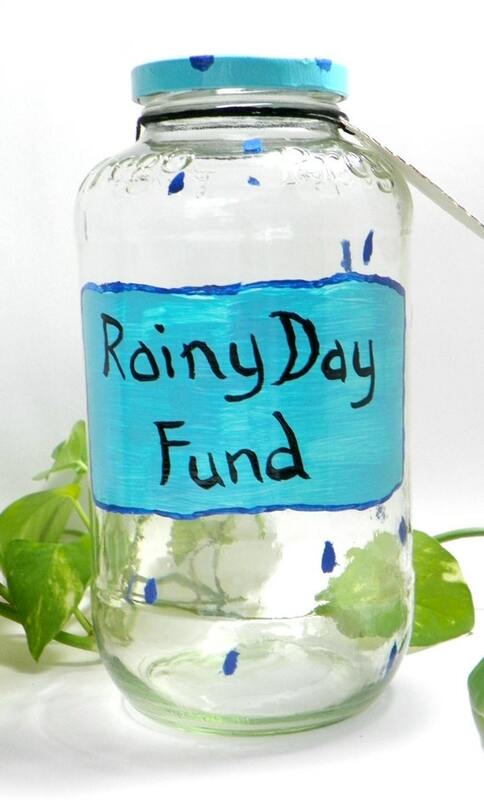 Everyone needs to save for a rainy day. This jar is the last large jar that we have that is available to ship. In the future, we can make large jars via custom order. However, in an effort to have some uniformity, I am trying to keep the jars close in size. It used to be an enormous jar of spaghetti sauce, but now it is ready to hold your spare change. It has been a busy week, and you can start to finally feel the chill in the air that marks the end of the brief break that we have in North Texas between extremely hot to freezing cold. With that in mind, it is always nice to curl up with a good book and relax. This week's finds should help you to do exactly that. It is not usually a good idea to carry your worries around with you. 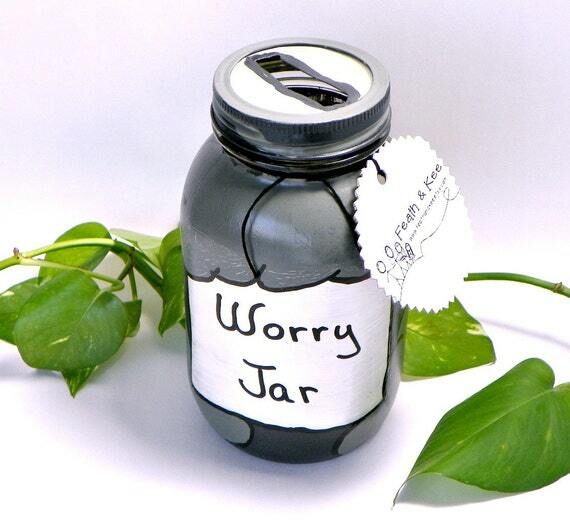 Lighten your burden a bit by writing down your worries and putting them away in this up-cycled mason jar. I painted it in shades of gray, with the label area in silver to remind you of silver linings. It was listed in our shop just this week. This vintage French nightie from RPArtandVintage is such a lovely tranquil blue. 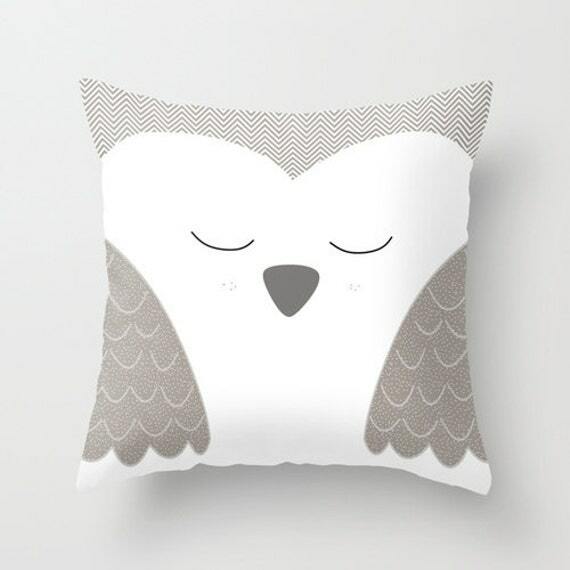 Sweet and peaceful, this owl pillow from Narais is just right for propping up in style. 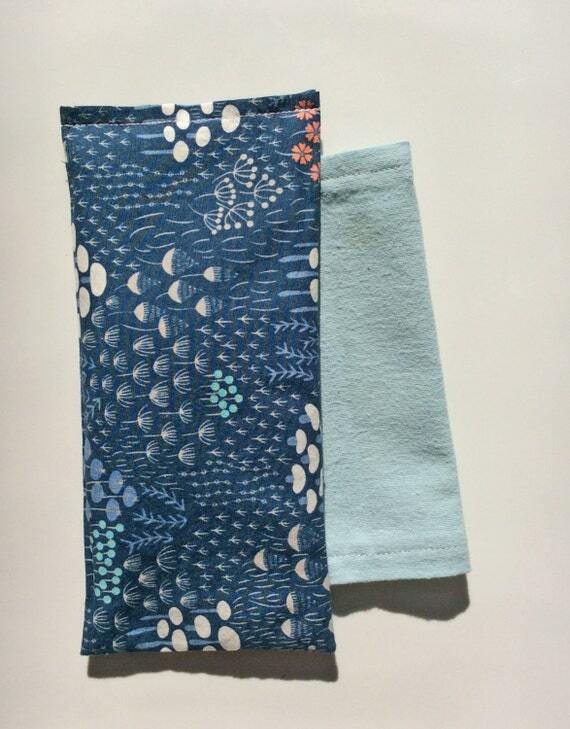 The fabric, thread, chamomile, and flax seeds are all 100% organic in this soothing eye pillow from Pure Rest. 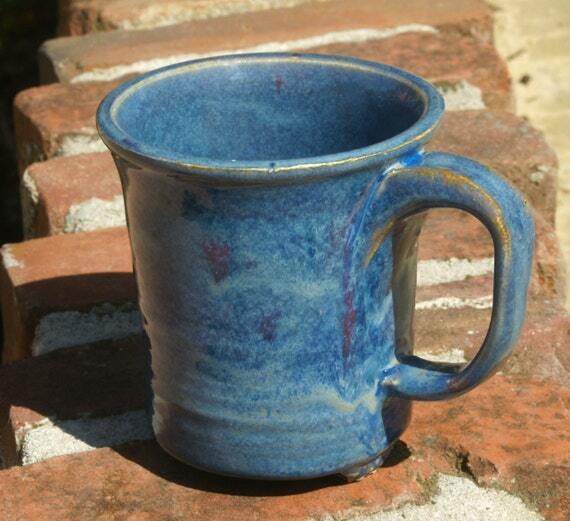 Handthrown, then glazed with a beautiful combination of glazes, this footed mug from Muddy Waters Ceramic Creations is just right for a nice cup of tea, or hot chocolate. 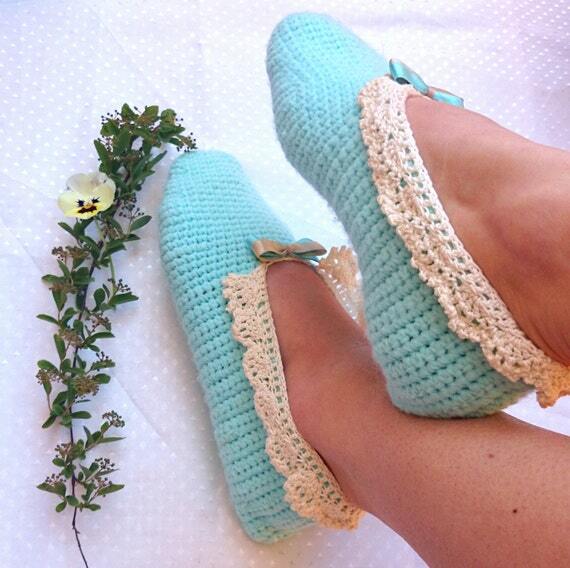 Adorned with lace and satin, these crochet slippers from CrasiiCoco will keep your feet warm. Long my favorite bedding shop (heavenly duvet covers, gorgeous pillows), Cloud Hunter Co. now offers clothing. 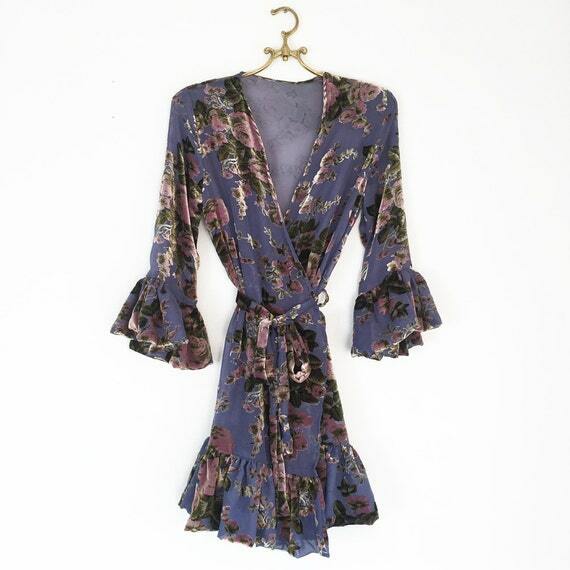 This robe is made from dead stock silk velvet, so I imagine it is lovely to wear, and environmentally friendly. So that is it for this week. All of the items featured here are from TEMPT Team members. We currently have a thread featuring Christmas items, or you can browse the member's shops. This is a really talented group of people. As I urge you to shop local or handmade for your Christmas and holiday gifts this year, these shops are definitely worth your time and consideration! Check in on Sunday to see a recap of our new items! We had new additions to the shop this week. All three where a long time coming. Developing a new item requires many hours of trial and error. Then dozens of prototypes. 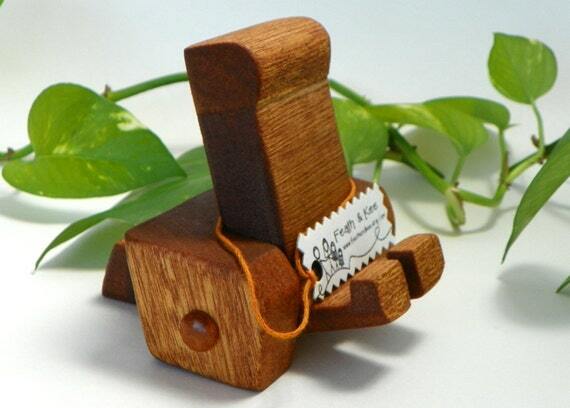 Feath & Kee now has a section dedicated to phone stands. Each stand is hand-crafted with attention to detail. From the beginning, Bryan wanted these to easily fit into everyday life while also adding to the decor of the room that they will eventually reside in. All of three of these are made from reclaimed wood and recycled materials. 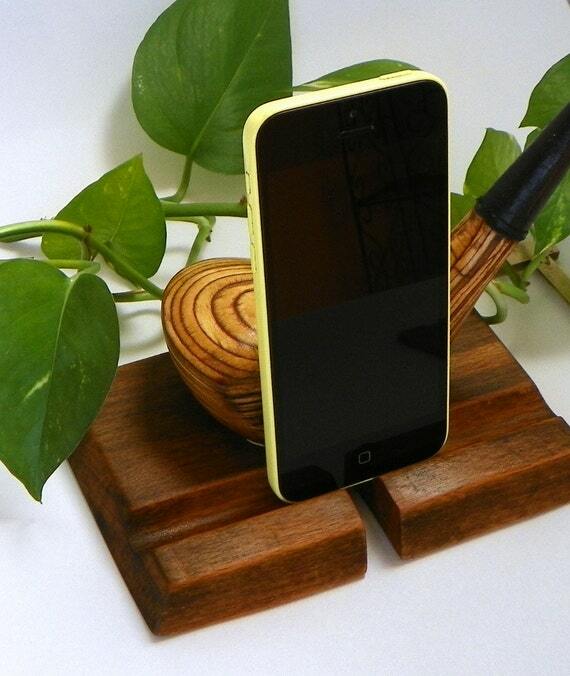 The base of this gorgeous stand is oak, and the back is from a vintage golf club. Bryan sanded and refinished the club to bring out the grain lines. Then, he applied several coats of linseed oil. 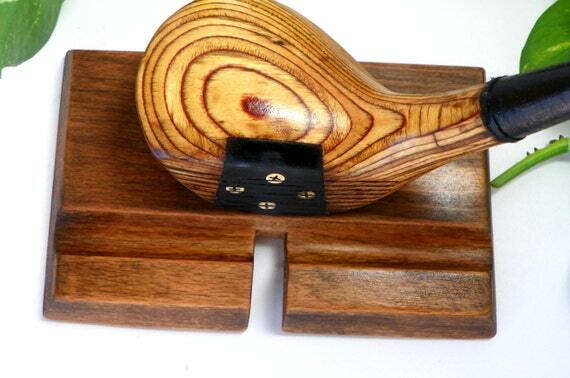 This would be a great gift for a golfer or sports fan. 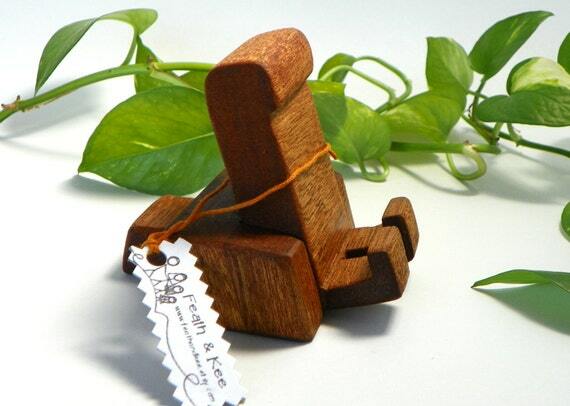 These next two stands are very similar, as they are made from the same wood and same design. There is a little bit of difference in size, and some difference in decoration. The wood for these came out of an old church here in Olney that was being remodeled. I am not certain of the species of wood. it has a lovely reddish hue. We didn't want to cover the natural beauty, so again Bryan finished these with several coats of linseed oil. So that is it for last week's new listings! We have many more coming, so make sure that you follow us on Facebook, Twitter, Pinterest and Instagram so you do not miss out! Hello Wednesday! 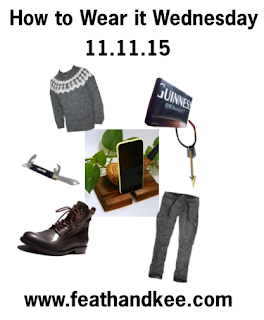 Inspired by the new items in our shop this week, I decided to put together an outfit for the guys. I found really neat items and discovered a couple of new shops along the way. been finished with linseed oil, so the beauty of the wood really speaks for itself. This would make a great gift for that hard to buy for person on your list. 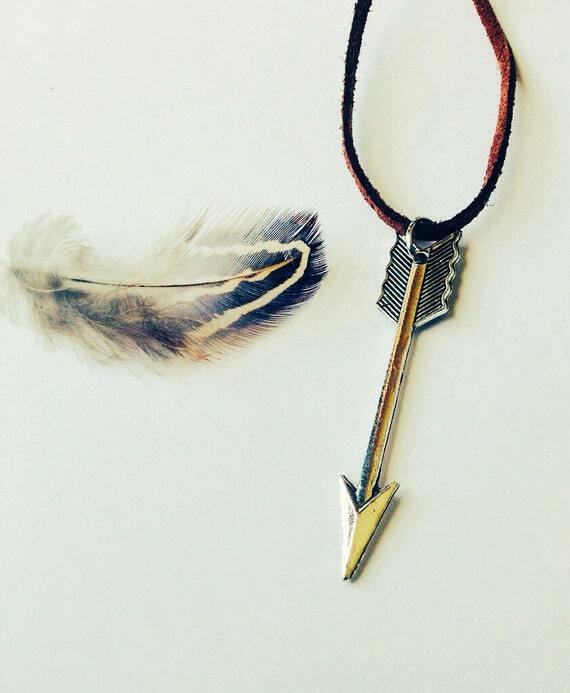 Attached to a genuine leather cord, this arrow charm from Stink N' Cute is three inches long. I love these hand painted, handmade pants from Heathen Clothing. They are made from stretch cotton poplin for comfort. 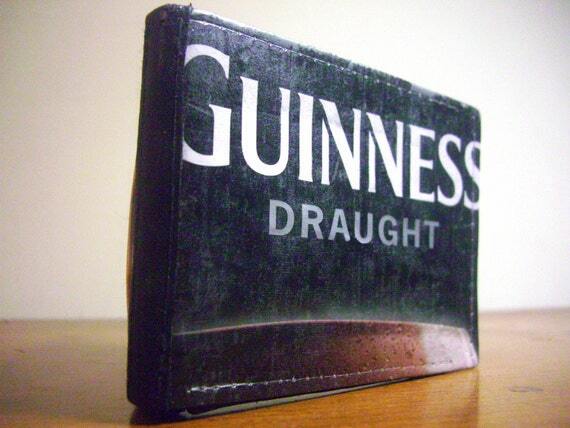 Made from a recycled Guinness carton, this wallet from Bomby X Boutique combines eco-friendly and style. 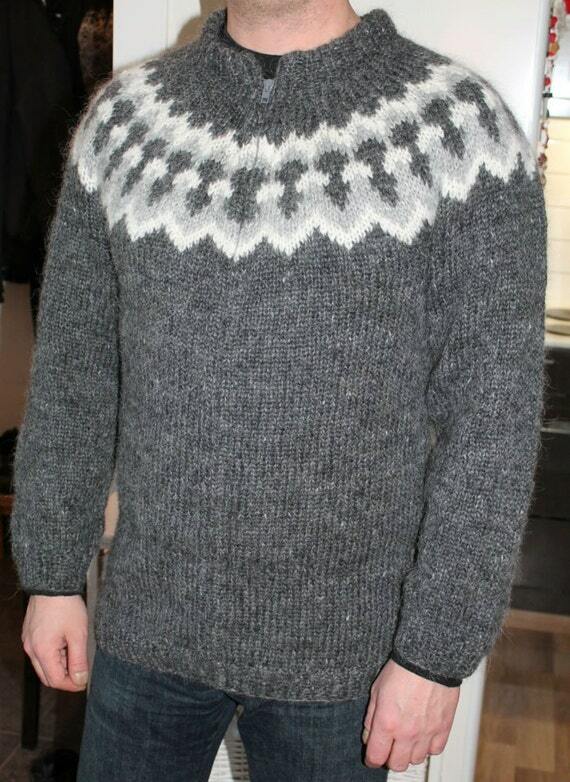 Made from an Icelandic wool called Lopi, this sweater from Binnadesigns is warm and comfortable. 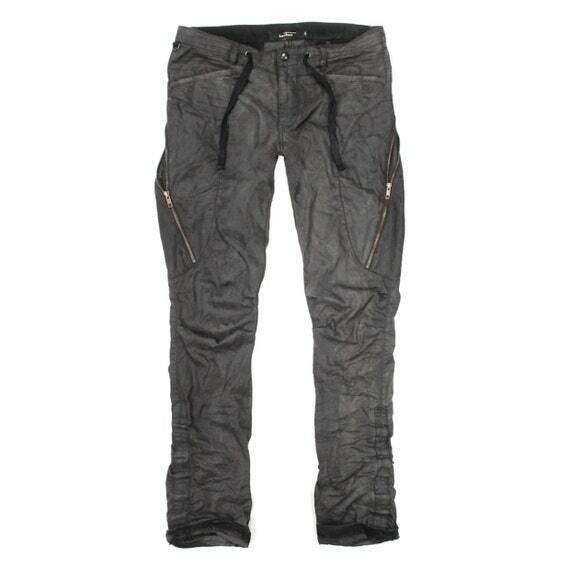 It features a zipper, but you can also request this design without a zipper. The "Ziggy" boot from ZzyxX Shoes is designed with an active lifestyle in mind. 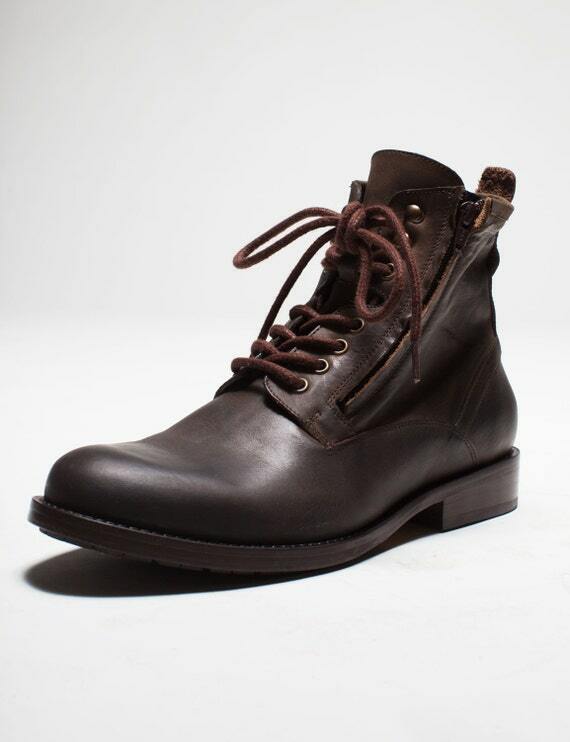 Made from premium Nubuck Leather, they can be tied or zipped. 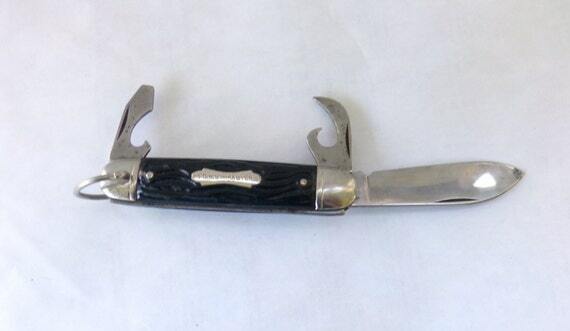 Dating from the 1950's and still in excellent shape, this Forest Master pocket knife measures 3 1/2 inches. Find it at More the Buckles. Happy November! This week, everything is recycled, up-cycled, or re-vamped vintage. 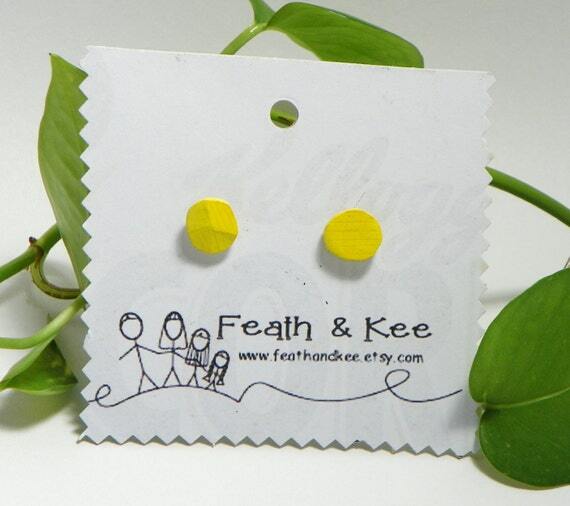 From Feath & Kee, these leaf earrings are made from recycled pine. They have stainless steel posts. The true inspiration item this week comes from Sweet Life Threads. Last week, this beautiful jacket popped up on my Instagram feed. 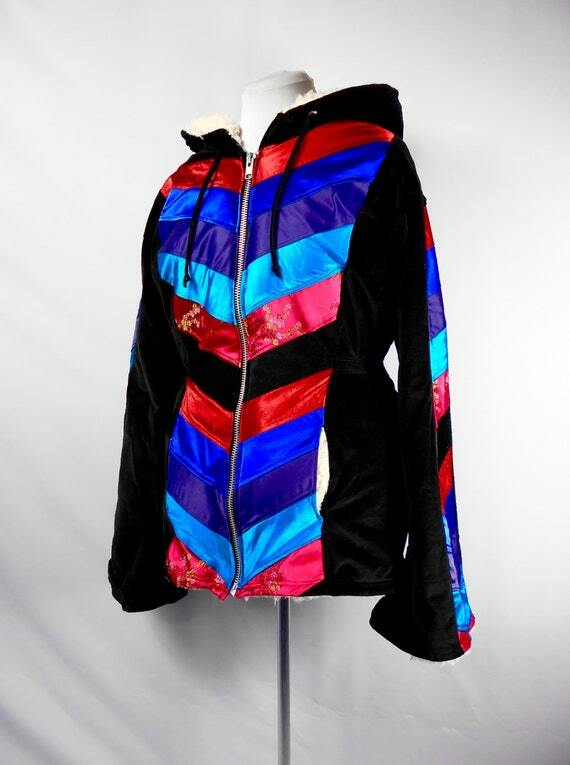 Meticulously pieced together from other pieces of clothing, this jacket is a work of art. 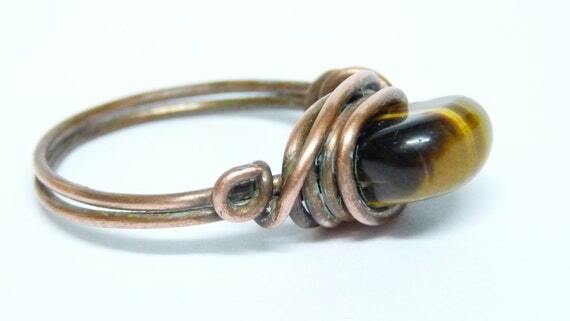 Wrapped up-cycled copper wire and a Tiger's Eye bead make up this ring from Tillies Treasure. The copper has been sealed with museum grade wax. 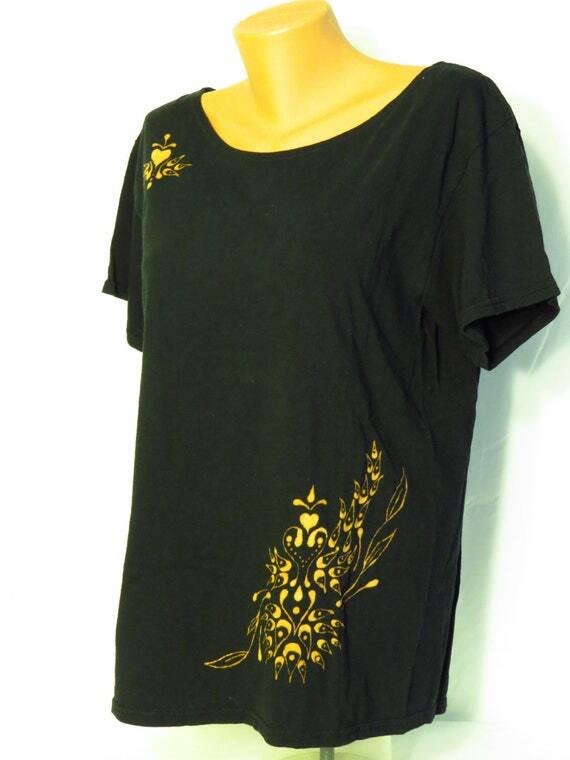 This black shirt was up-cycled with a unique design, hand drawn with bleach. Get it at AnomalousMind. I love the simple, elegant design of this cuff from Everyday Women Jewelry. 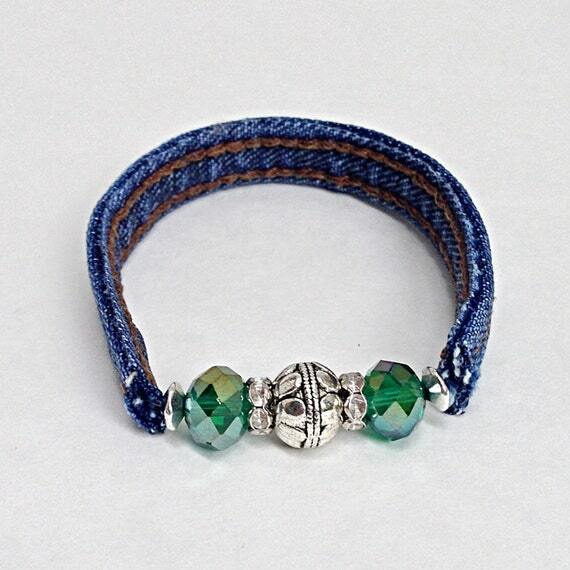 It is made from a recycled denim jean inseam and lead free beads. 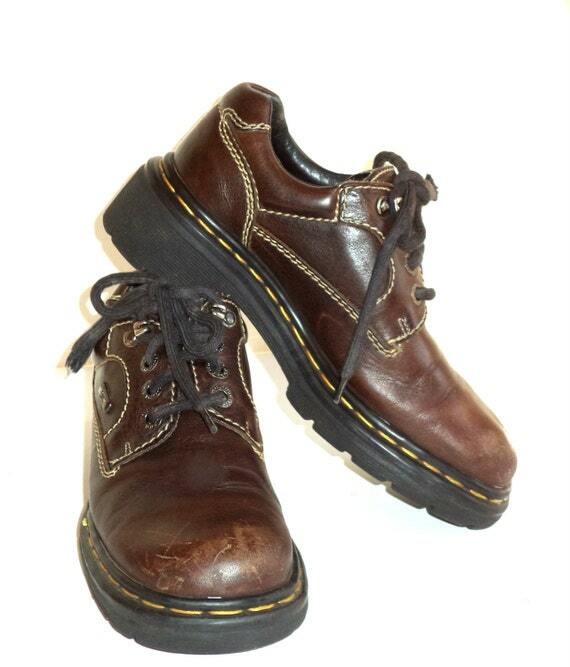 I still have and wear my Dr. Marten's from the late 90's. This pair from Insideredo has been thoroughly cleaned, reshaped, and polished. 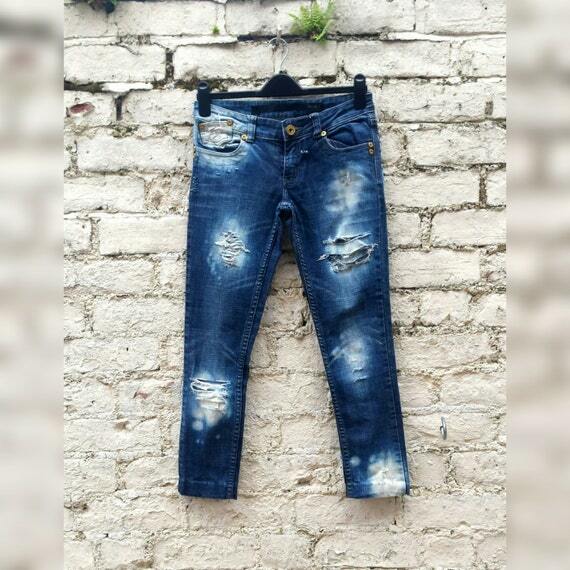 These thrift store jeans have been transformed and customized into a one of a kind pair. They can be found at AbiDashery.